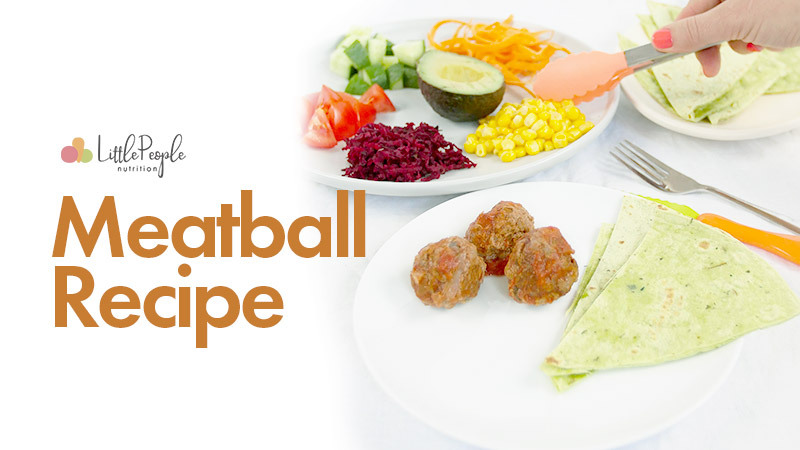 Meatballs are such a versatile option for either a family or childcare menu. I love to add them to lunchboxes too. Below is a very basic recipe which can be tweaked in many different ways. Sometimes I use egg, sometimes I don’t. Sometimes I use breadcrumbs, sometimes I don’t. But I tend to always use some garlic and onion and some herbs. You can also use every mince combo on the planet. This one is beef but I also do a range of others. I also often add in grated zucchini or carrot depending how I feel. ✌🏼Literally chop all the “other” ingredients as fine as possible and then mush them altogether with the mince. Roll them into golf-ball sized balls. ✌🏼Heat a large fry pan with a few tablespoons of olive oil or the likes and brown off the balls. ✌🏼You can continue to cook them by themselves although I also love to add in some passata. I often use my simple veggie tomato passata (recipe in a the Summer Menu Plans) around 2 cups and heat to a simmer and cook for around 10-15 minutes. 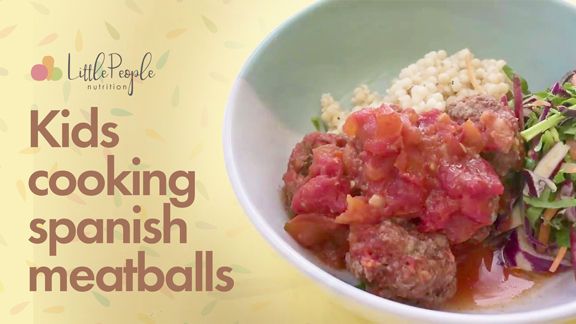 I use these meatballs with pitas, wraps, rice, pasta and even in lunchboxes. Super ridiculously versatile and perfect for little fingers. If you are in a childcare or would like to make these with little kids, a super simple way to get them to touch a feel every step is to reduce the recipe down to one child. I do this a lot in my Little People Cooking videos. There is a Spanish Meatball recipe in the Little People Cooking series or another option in the Summer Family or Childcare Menu Plan too.